moving to the country, gonna eat a lot of peaches. i'm moving to the country, gonna eat me a lot of peaches. peaches come from a can, they were put there by a man.. in a factory down town. 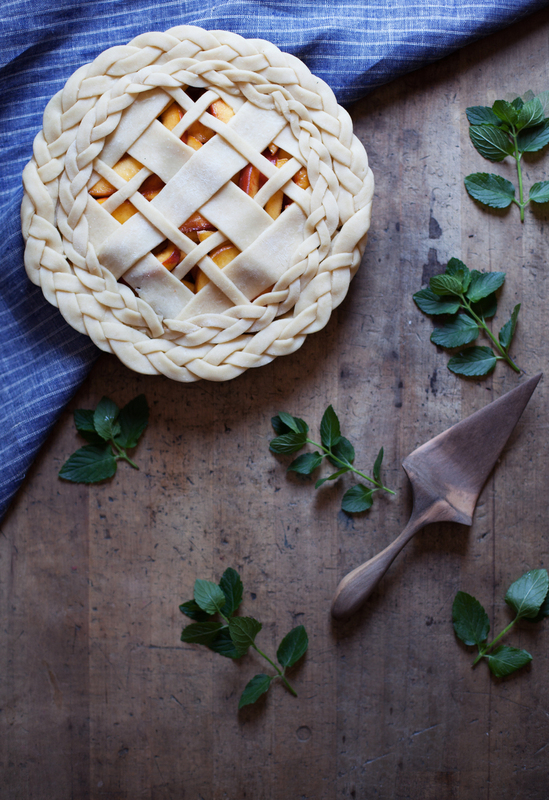 now that i've got this song stuck in your head for the rest of the day (or week), here is my recipe for a georgia peach pie sweetened with bee raw's raw georgia holly blossom honey (how fitting, right?) this honey has an strong floral taste, with a hint of freshly cut pine. i am pretty excited for peach season now that i am back in the niagara region & live around the corner from a peach farm! i am going to be making peach desserts & eating fresh peaches all month long. i feel like i have been really into baking with ALL the in season fruits this summer has to offer. because of my excitement i thought this pie deserved not one, but TWO braided crust. i could have kept going, but maybe it would have been a braided overkill. as if that is a thing though, right? begin by making the dough. using a food processor pulse the flour, salt and sugar. add the cubed butter, shortening and vanilla. pulse until a crumb like mixture forms. add the cold water one tablespoon at a time until the crumbs begin to come together. turn out onto a pastry board and shape dough into a disk. if dough seems wet, add a bit more flour. if the dough seems dry, add a bit more water. wrap in cling wrap and refrigerate for minimum 2 hours. 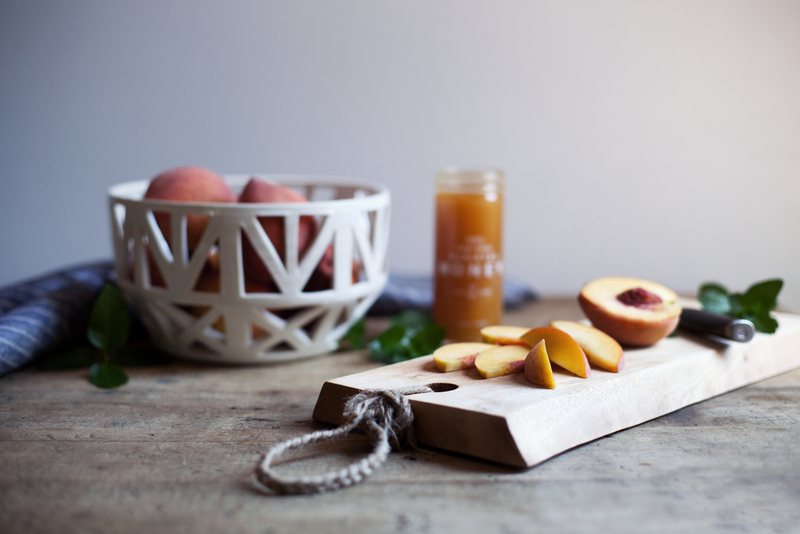 in a large mixing bowl mix the peaches with the honey, sugar & vanilla. sprinkle with cornstarch & cinnamon. toss until evenly combined. set aside while you roll out the pie dough. heavily flour a smooth surface & roll out the dough to 1/4 to 1/2 an inch thing. line pie dish & fill with peach mixture. this post was created in partnership with bee raw. they make a ton of different raw honeys in fun flavours. find the georgia blossom honey i used here!